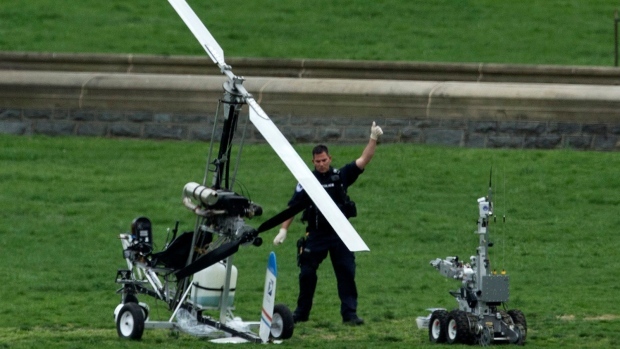 TAMPA, Fla. -- The letter carrier who landed his gyrocopter on Capitol Hill says he wasn't concerned about getting shot down as he made his final approach. Doug Hughes told ABC's "Good Morning America" he doesn't believe the government would have shot down a "61-year-old mail man in a flying bicycle." Hughes was arrested last week. He was carrying letters for each member of Congress to raise awareness about the influence of big money in politics. He faces charges of violating national airspace and operating an unregistered aircraft. 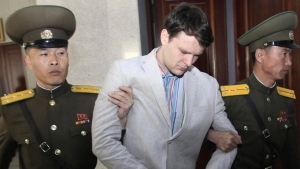 He has returned to Florida where he'll be under house arrest until a May 8 court hearing in Washington. He says it's now up to the American people to decide whether to "catch the ball that I threw." If they do, he says they can "fix the problem" of corruption in Congress.